This photo takes advantage of the last few leaves of foliage. By putting the camera right behind these leaves, and moving so I was shooting into the sun, the leaves light up, we end up with a light airy image. 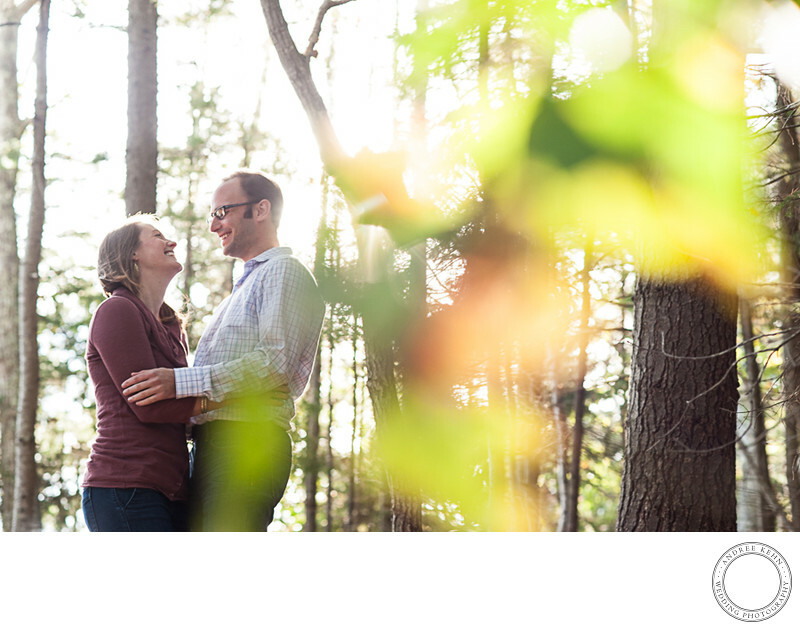 The couple is laughing and telling each other secrets, upon my request and the entire photograph pulls together. Keywords: Andree Kehn Wedding Photography (1287), Black Point Inn (48), Scarborough Maine (48), Wedding (231). 1/200; f/4.0; ISO 800; 85.0 mm.